At home, in the Fort, one of the things I loved about the Holidays were the Lights at the Zoo. We went many times over the years and it is was always a blast. 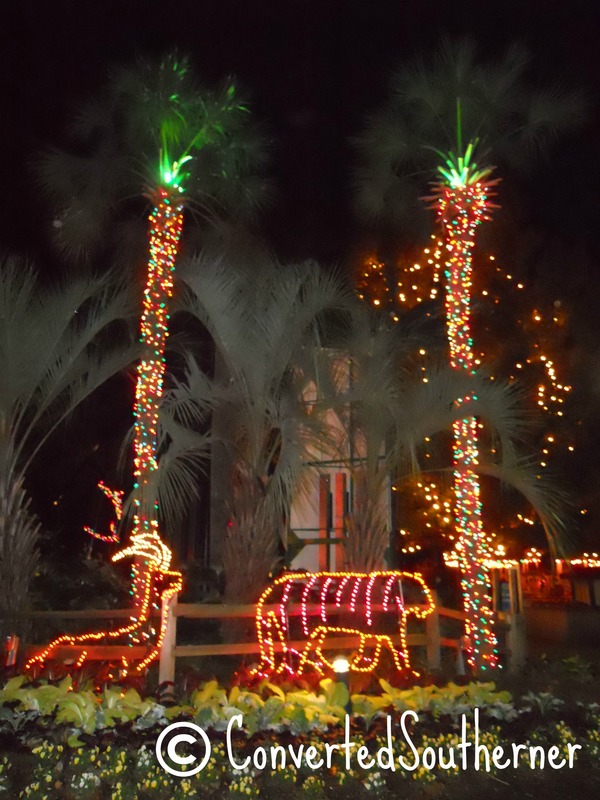 Every imaginable thing is wrapped from top to bottom in lights… the zoo positively glows from a distance. There is ice skating, a puppet show, visits with Santa and petting zoo with reindeer. The lake in the center of the zoo is surrounded by lights with and there are displays in the water and strobe light/ laser light thing and it is all timed to music. There is snow on all the non-walk way areas, staff dressed up in costumes and lovely tunnels of lights you can walk through. The train runs around the park and they even show movies! Plus, all of the indoor exhibits are open you can see all of those animals… it is fun! 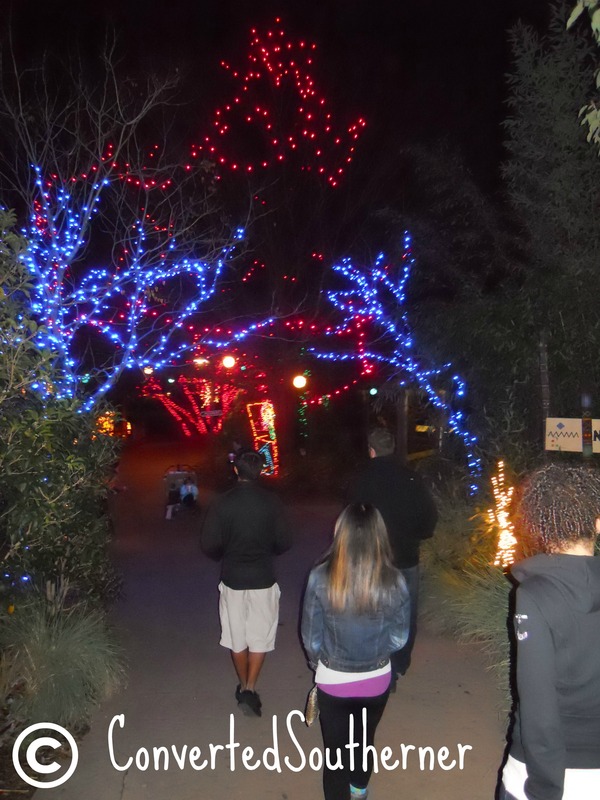 So, we decided that our end of semester activity with our exchange students to the local lights at the zoo. Even though I have been living down here for years I had never been to the lights at the zoo! Needless to say, I was really looking forward to the evening because 1) I love hanging out with the exchange students, they are such fun and 2) I loved the lights at the zoo back in the Fort, so I had high expectations. And I am so sad to report back to you all that it was a huge disappointment! The palm trees were very cool! ← Wednesday Wedding Tips: Introductions, Please.